Clarksville TN Online is the voice of the people of Clarksville Tennessee. Washington, D.C. – A new kind of atomic clock, non-toxic propellant system and missions to characterize how space weather interferes with satellites and communication transmissions are one step closer to liftoff. 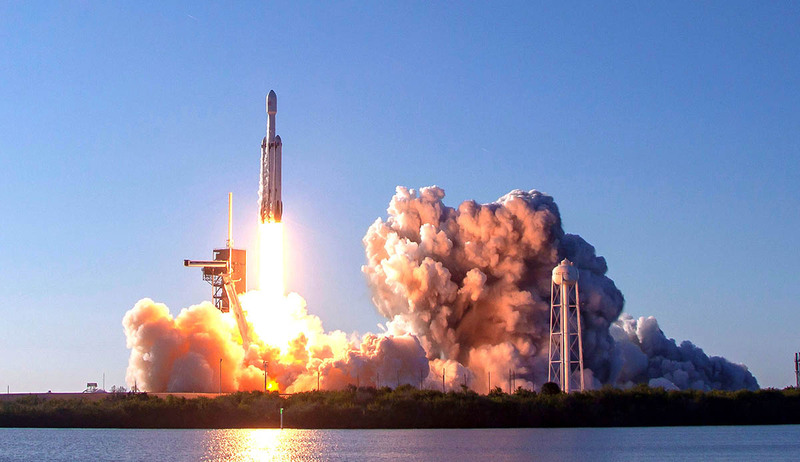 With the second-ever SpaceX Falcon Heavy launch complete, these NASA technologies await the powerful rocket’s next flight. Pasadena, CA – Two NASA CubeSats teamed up on an impromptu optical, or laser, communications pointing experiment. 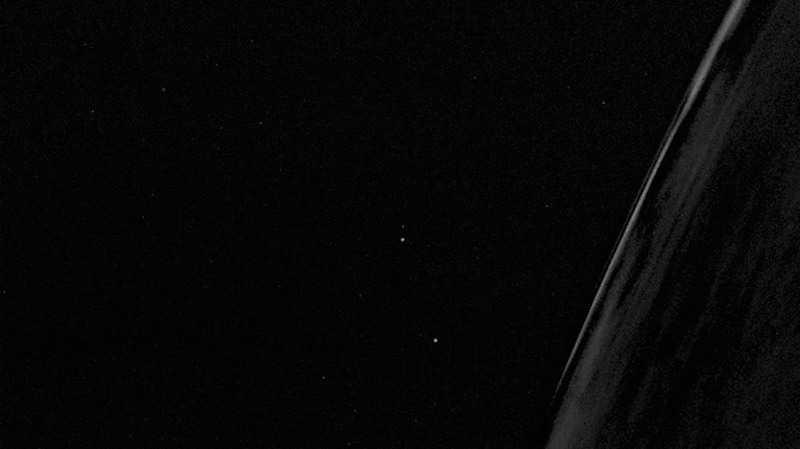 The laser beam is seen as a brief flash of light close to the center of the focal plane, to the left of Earth’s horizon. 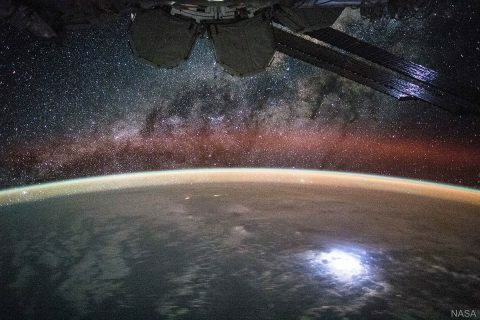 The light originated from the laser communications system onboard one of two Optical Communications and Sensor Demonstration (OCSD) spacecraft. The laser flash was recorded by a short-wavelength infrared camera, one of three cameras comprising the CubeSat Multispectral Observation System (CUMULOS) payload, onboard the Integrated Solar Array and Reflectarray Antenna (ISARA) spacecraft. Washington, D.C. – NASA has selected a new mission that will help scientists understand and, ultimately, forecast the vast space weather system around our planet. Space weather is important because it can have profound impacts – affecting technology and astronauts in space, disrupting radio communications and, at its most severe, overwhelming power grids. The new experiment will, for the first time, obtain global observations of an important driver of space weather in a dynamic region of Earth’s upper atmosphere that can cause interference with radio and GPS communications. Pasadena, CA – Before the pair of briefcase-sized spacecraft known collectively as MarCO launched last year, their success was measured by survival: If they were able to operate in deep space at all, they would be pushing the limits of experimental technology. Now well past Mars, the daring twins seem to have reached their limit. 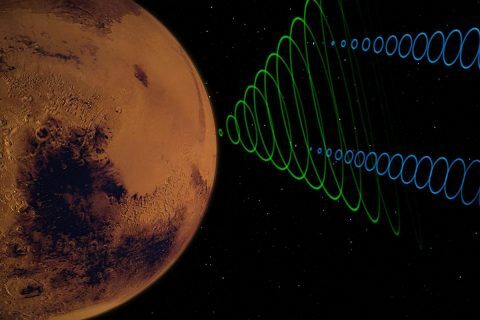 It’s been over a month since engineers have heard from MarCO, which followed NASA’s InSight to the Red Planet. At this time, the mission team considers it unlikely they’ll be heard from again. Cleveland, OH – A new CubeSat, launched Sunday, December 16th, 2018 will test high power electric systems and the use of unique shape memory alloy (SMA) components for the first time. Completely designed and led by a team of 12 early career scientists and engineers at NASA’s Glenn Research Center in Cleveland, the Advanced Electrical Bus, or ALBus, will be the first CubeSat to demonstrate power management and distribution of a 100-watt electrical system. 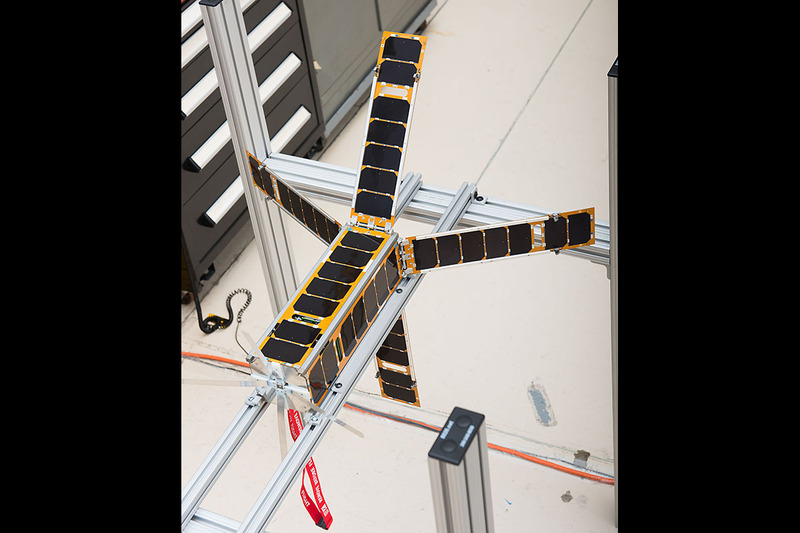 The CubeSat will also employ a custom-built SMA release mechanism and hinges to deploy solar arrays and conduct electricity. Pasadena, CA – NASA’s MarCO mission was built to see whether two experimental, briefcase-sized spacecraft could survive the trip to deep space, and the two CubeSats proved more than able. After cruising along behind NASA’s InSight for seven months, they successfully relayed data back down to Earth from the lander during its descent to the Martian surface on Monday, November 26th, 2018. Nicknamed “EVE” and “WALL-E” after the stars of the 2008 Pixar film, MarCO-A and MarCO-B used experimental radios and antennas, providing an alternate way for engineers to monitor the landing. Washington, D.C. – Mars has just received its newest robotic resident. 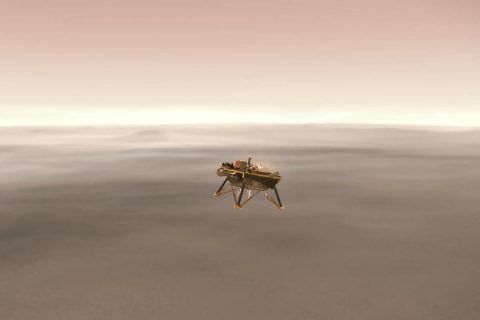 NASA’s Interior Exploration using Seismic Investigations, Geodesy and Heat Transport (InSight) lander successfully touched down on the Red Planet after an almost seven-month, 300-million-mile (458-million-kilometer) journey from Earth. 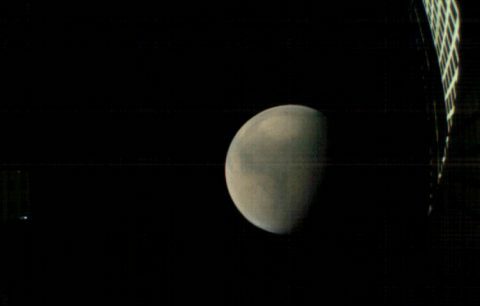 InSight’s two-year mission will be to study the deep interior of Mars to learn how all celestial bodies with rocky surfaces, including Earth and the Moon, formed. Washington, D.C. – NASA’s Mars Interior Exploration using Seismic Investigations, Geodesy and Heat Transport (InSight) lander is scheduled to touch down on the Red Planet at approximately 2:00pm CST November 26th, and viewers everywhere can watch coverage of the event live on NASA Television, the agency’s website and social media platforms. Launched on May 5th, InSight marks NASA’s first Mars landing since the Curiosity rover in 2012. Pasadena, CA – What’s the sound of a touchdown on Mars? 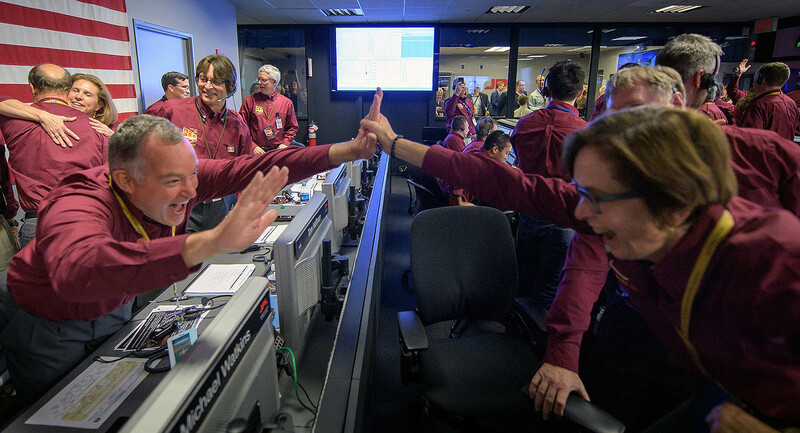 If you’re at NASA’s Jet Propulsion Laboratory, it sounds like winning the Super Bowl: cheers, laughter and lots of hollering. But in the minutes before that, NASA’s InSight team will be monitoring the Mars lander’s radio signals using a variety of spacecraft – and even radio telescopes here on Earth – to suss out what’s happening 91 million miles (146 million km) away. Pasadena, CA – NASA’s MarCO mission was designed to find out if briefcase-sized spacecraft called CubeSats could survive the journey to deep space. 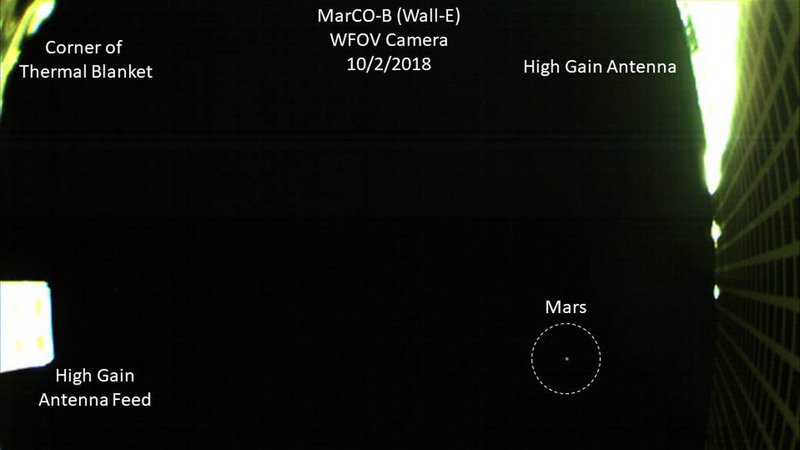 Now, MarCO – which stands for Mars Cube One – has Mars in sight. 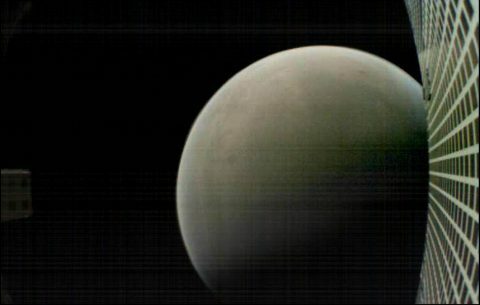 One of the twin MarCO CubeSats snapped this image of Mars on October 3rd – the first image of the Red Planet ever produced by this class of tiny, low-cost spacecraft. The two CubeSats are officially called MarCO-A and MarCO-B but nicknamed “EVE” and “Wall-E” by their engineering team. © 2006-2019 Clarksville, TN Online is owned and operated by residents of Clarksville Tennessee.